Joakim is hard to pin down: part club music, part jazz, part electronic experimentalism. 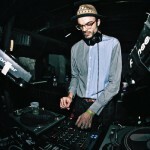 One of France’s foremost electronic musicians, Joakm has a background in classical music, US & UK indie rock and jazz. He discovered electronic music after a schoolfriend left his synthetiser in Joakim's room, later latching onto indie and electronic labels such as Warp and Mo Wax. His first album ‘Tiger Sushi’ was ambient electro-jazz, before he moved onto electronics with ‘Fantômes’ , and later ‘Monsters and Silly Songs’ , on which he combines post-rock, disco, electronics and, well, silly songs. "Making a pure dance album would almost be like composing an album entirely in F major,” says Joakim. “I jump from one idea to the next. I simply have to try everything and see where it leads." Joakim runs the Tigersushi label, releases a broad spectrum of music including Maurice Fulton, E.S.G, Poni Hoax and Metro Area. Joakim does live sets, DJs and he’s also a remixer; he’s recut tunes from Tiga, Air and Antena’s ‘Camino Del Sol’ - the latter of which was one of the biggest club tunes of 2006. Finally, he also has a live band, Joakim and the Ectoplasmic Band, on which he plays machines, keyboards, guitars and sings. Fingers in many pies then. Joakim also does his own artwork for his record sleeves.